Last weekend, I brought my kids to one of the exhibitions in Singapore. While I am waiting for my wife and mother in laws to finish shopping, we are really bored and we settled down at Texas Fried Chicken to have some snacks. 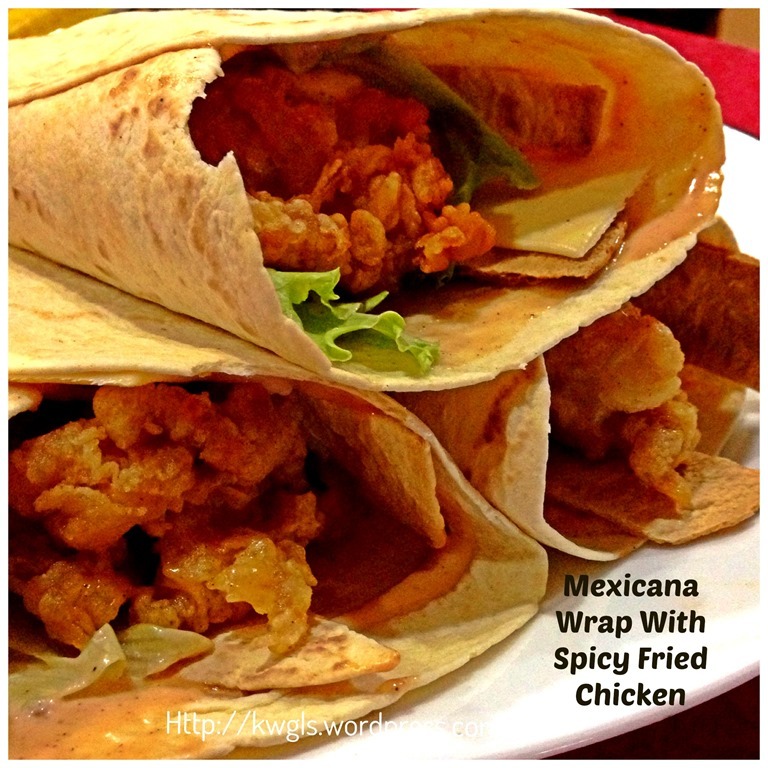 The restaurant is promoting some Mexicana Wrap. 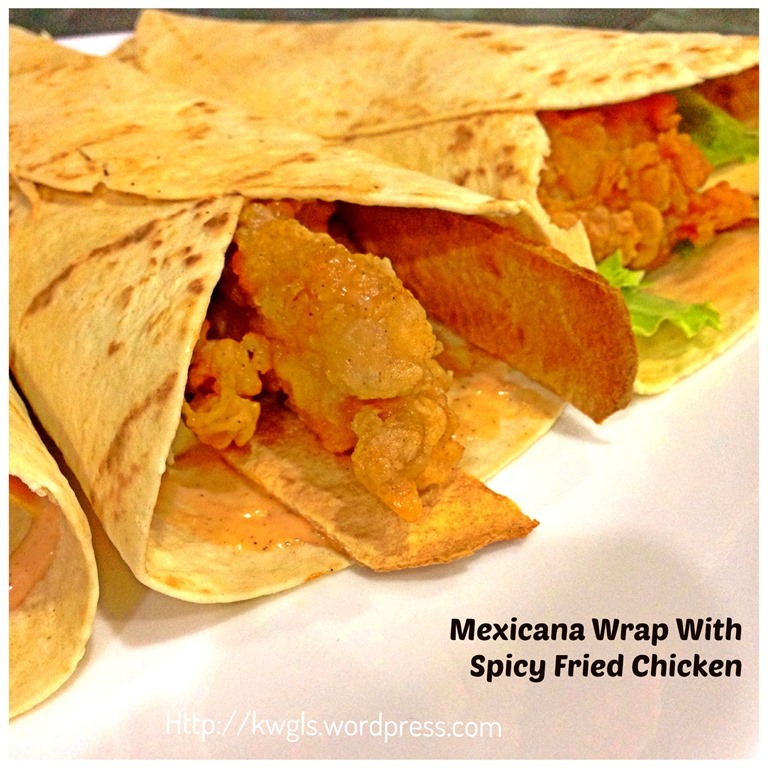 I ordered one set comprising a drink, a cup of mash potatoes and a Mexicana fried chicken wrap that cost me SGD6.20. While I am having my snacks, it suddenly reminded me that I have some soft tortillas in the refrigerator. I have therefore decided to replicate what I have eaten and shared with readers. That was our dinner the next night. 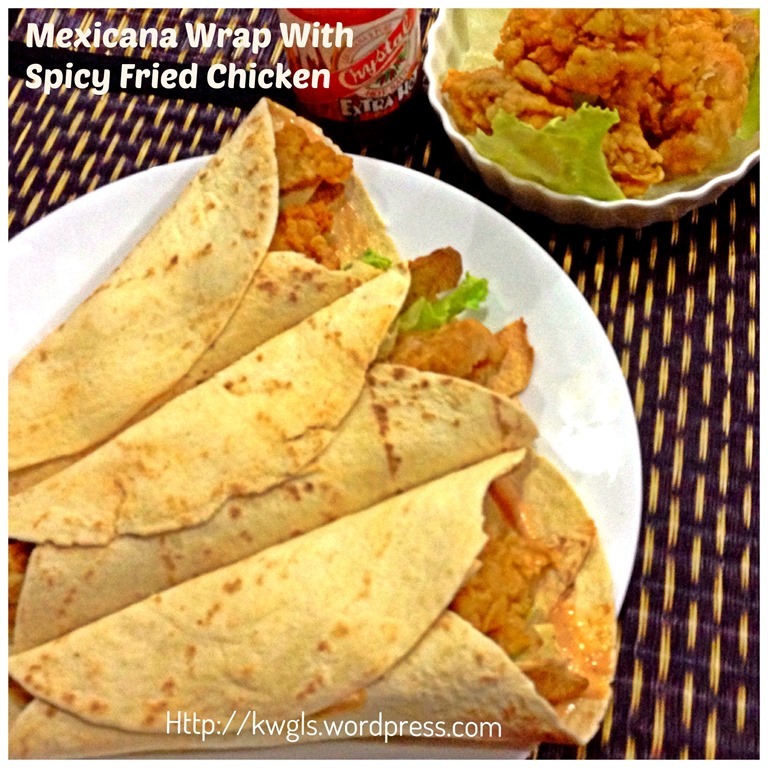 As my kids went for holiday, I am more than happy to prepare the spicy version of the fried chicken for the Mexicana wrap. Preparation is rather easy as I bought the ready made tortilla from Singapore supermarkets. In recent years, it is very easy to get hold of “bread” originated from other countries such as French Loaf, Mexican tortillas, Indian’s nan, pita and chapatti etc.. 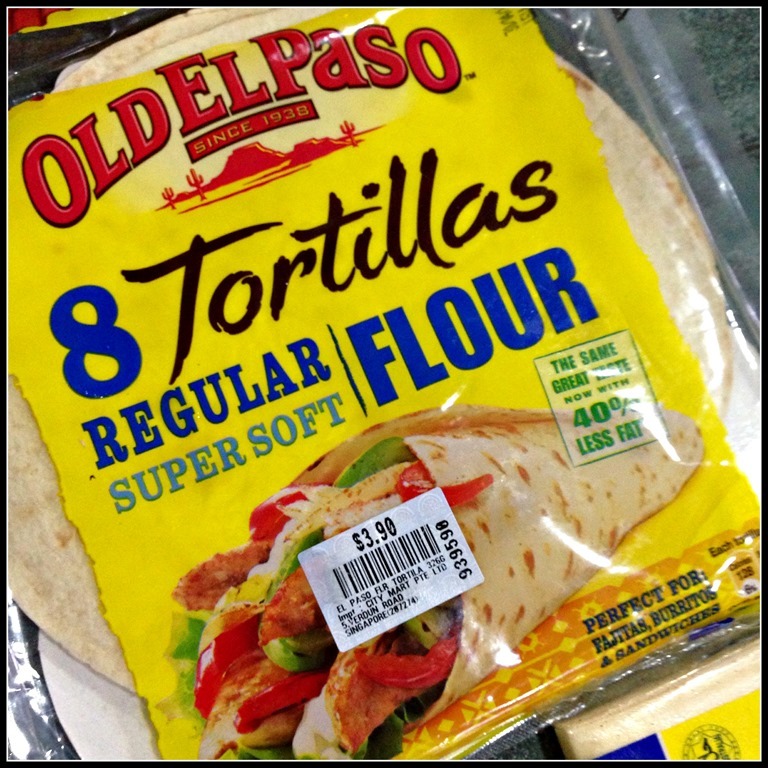 I bought a packet of 8 super soft wheat tortillas for SGD3.80 cents. As for the sauce, of course, I wouldn’t know the exact recipe of what I have eaten but I have prepared some sauces that are Asian friendly and pretty closed to what I ate. In a big bowl, slightly whisk the milk, Tabasco (optional) and egg until combined. 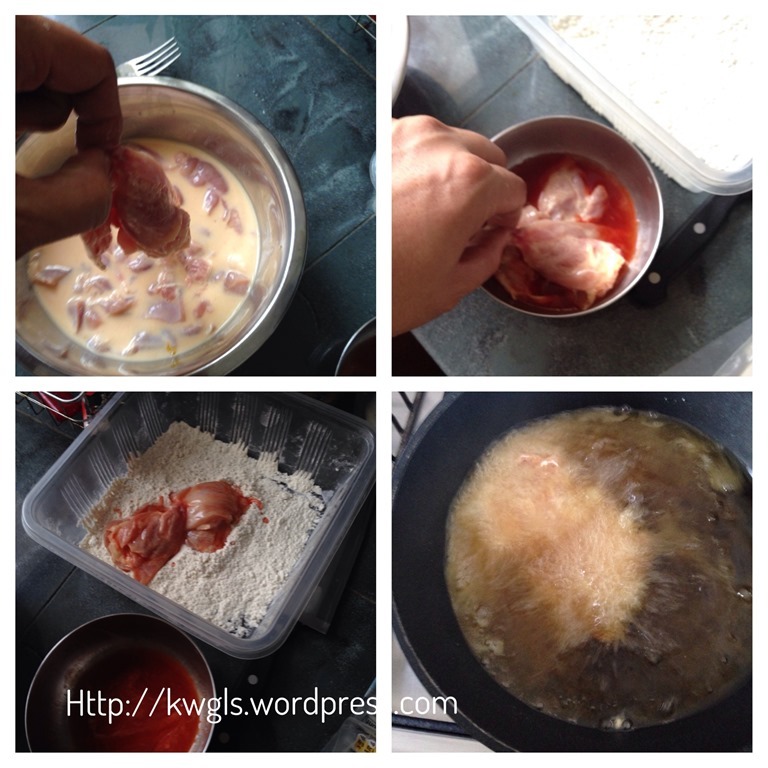 Add in the chicken drumsticks and marinate for at least 10-15 minutes. In another big bowl or plastic containers, put together the plain flour, white pepper, black pepper, salt and other flavour enhancer (if desired). 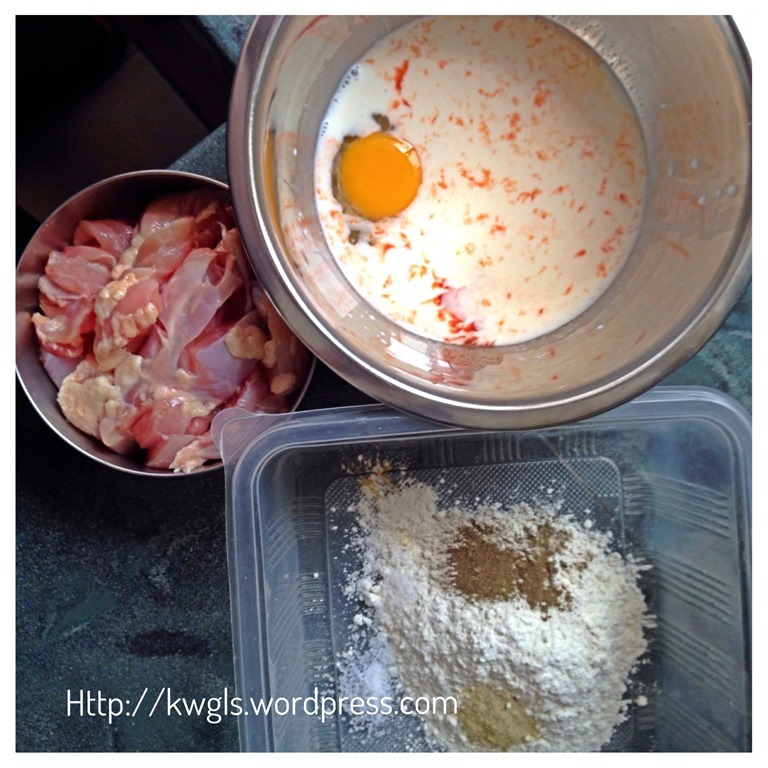 Use a spoon to mix the flour mixture thoroughly. Depending on your taste buds, if you like your chicken spicier/hotter, get ready another small bowl with additional Tabasco sauce. In a pan suitable for deep frying, heat about 5 cm of oil under high heat. The oil is considered as ready if bubbles start to emit from the wooden chopstick when placed in the hot oil. 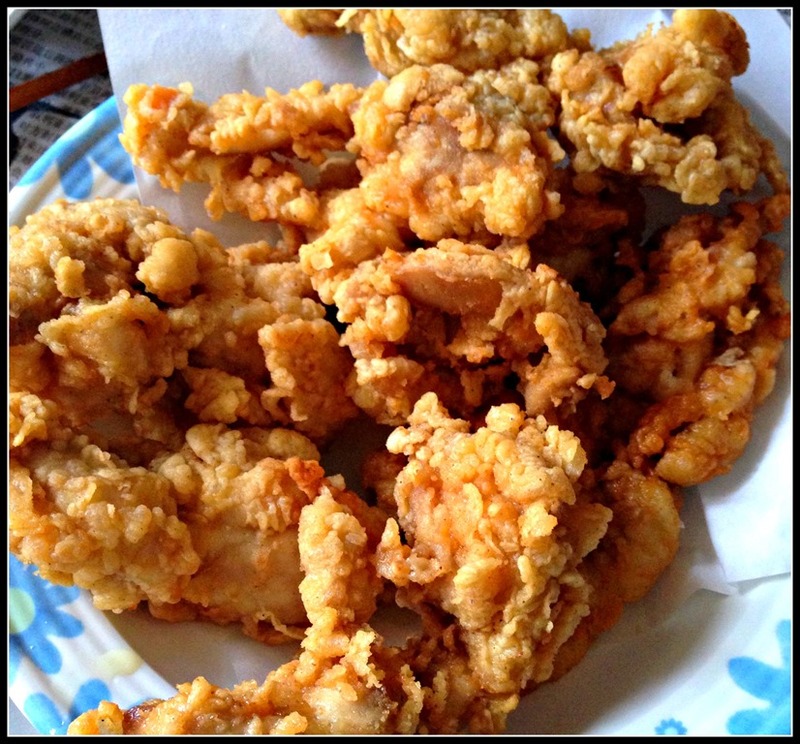 Take a piece of the marinated chicken, dip in Tabasco sauce (optional), put it in the flour and coat it as evenly as possible. You can coat 2-3 times to have a thicker “flour skin”. Put in the hot oil and fried until the chicken is golden brown. You may want to consider lower the heat to medium if you are not fast enough to coat the chicken. Keep a close eye on the fried chicken. The process is rather fast because it is chicken strips. Repeat the same for all the chicken strips until finish. If there is not enough flour, just prepare additional flour. When ready, drain and place on a piece of oil absorbing paper. Set aside for later assembly. 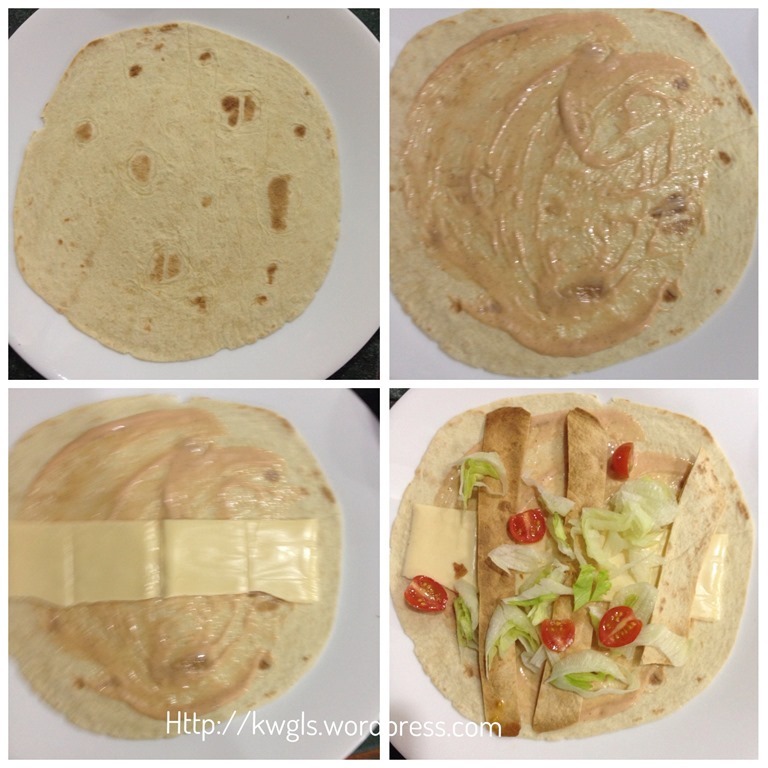 Cut the tortilla into small strips. 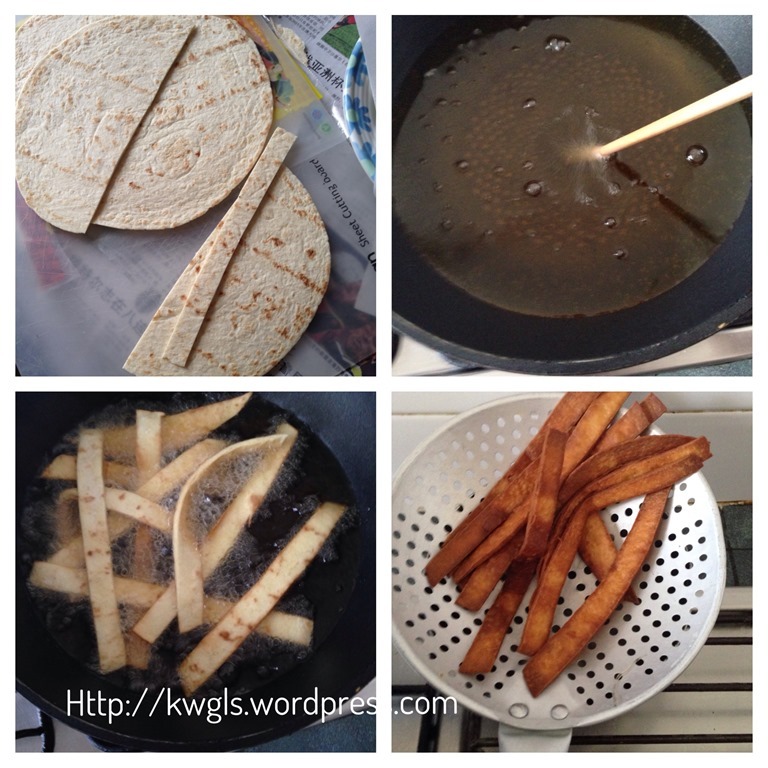 You can either deep fried your tortilla strips or oven baked the tortilla strips. 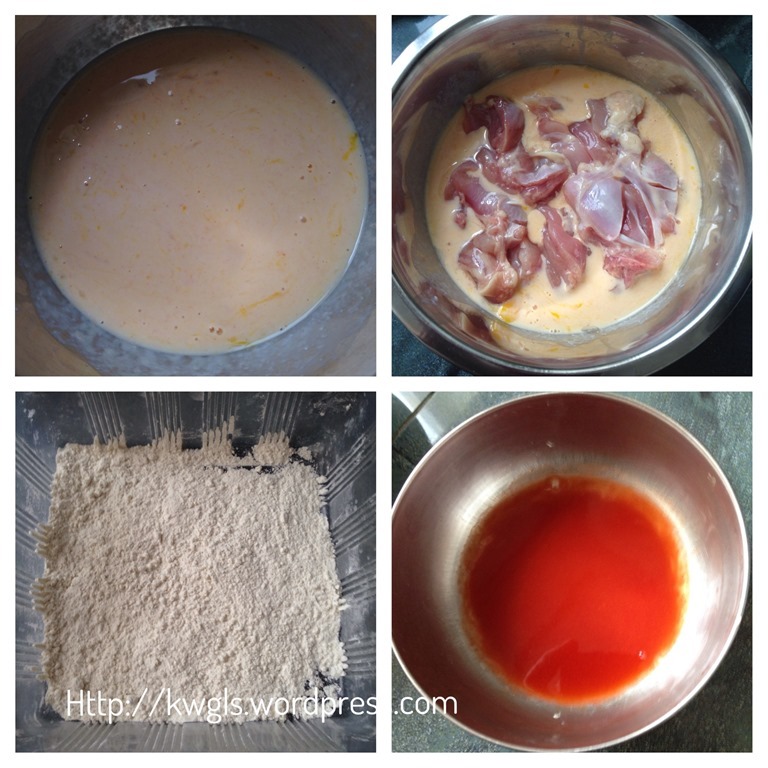 For deep frying, it is rather fast and you have to watch out for the colour changes. If you oven baked, just put the strips in a mini oven, select medium heat and bake for 5 minutes. However, tortilla strips are optional and you can by pass this step if preferred. 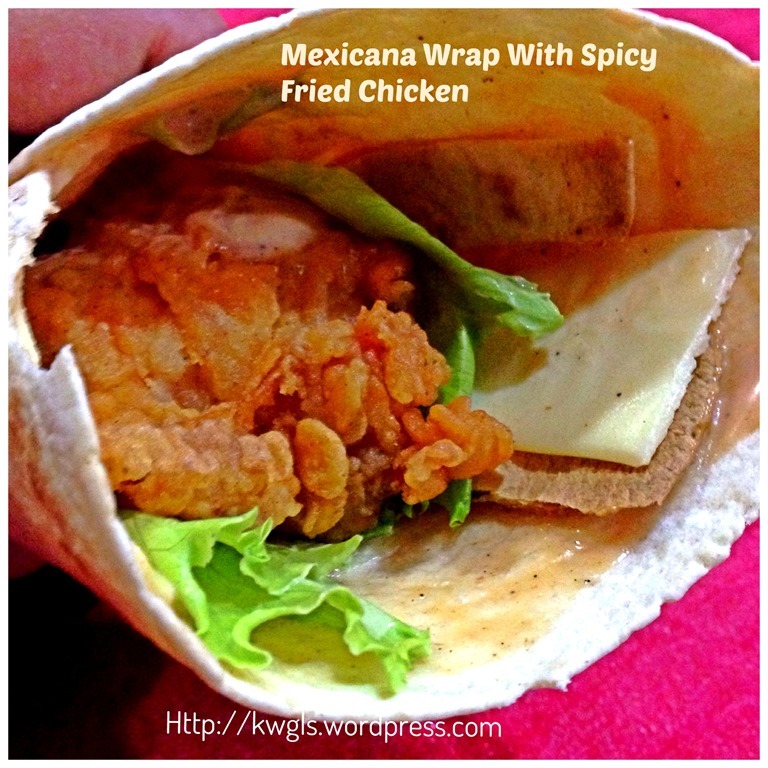 The main purpose is to provide a crunchy texture in the wrap. 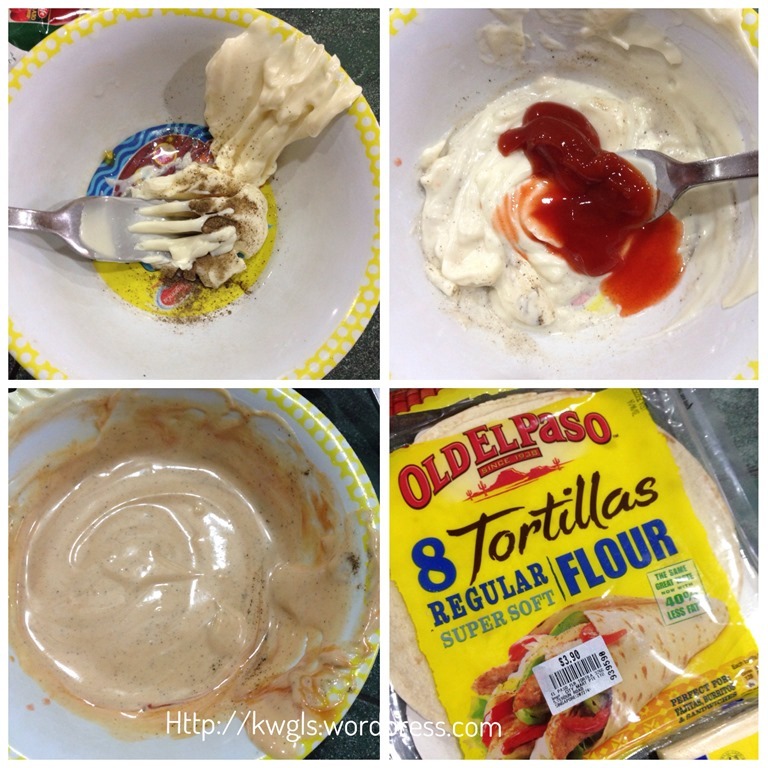 In a small bowl, place the mayonnaise, tomato sauce, lemon juice, Tabasco sauce and black pepper. Use a spoon or fork to whisk until well mixed and smooth. Place a piece of tortilla on a plate. Spread with some sauce. Place a piece of the breakfast cheese slice. 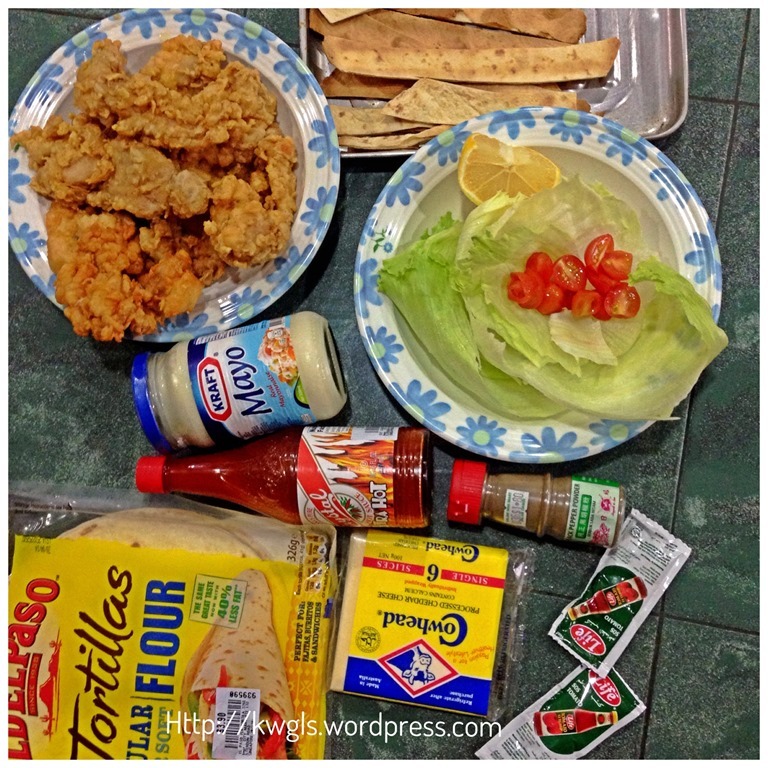 Put some tortilla strips, follow by some chopped lettuce and tomatoes. Place a piece of fried chicken followed by additional vegetables and sauces. 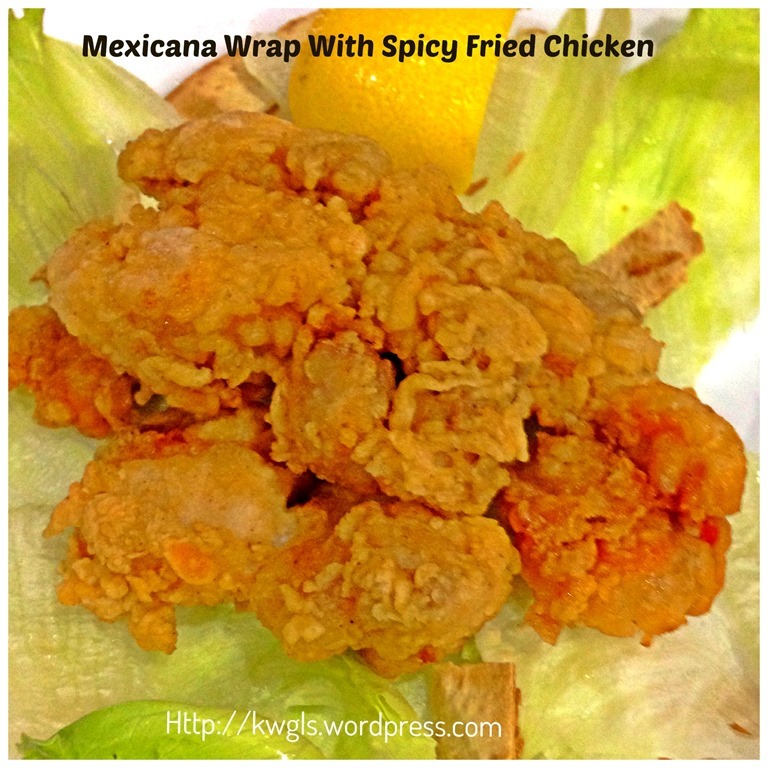 Wrap around the chicken in a cone shape. If preferred served with additional chilli sauces. This is my replicate and I think the ingredients that may have not included are some melted cheeses and possibly mustard sauce. However, I am able to accept this as we preferred more Asian touch in our sauce selection. This is a delicious recipe but is nothing to shout about because variations are many. Remember, as a home chef, you know your family’s taste buds better than anyone else. Feel free to change the recipe to impress your family. Possibly, some grilled teriyaki chicken with some home made tomato puree and additions of some green capsicum… Hope you like the post today. Cheers and have a nice day. 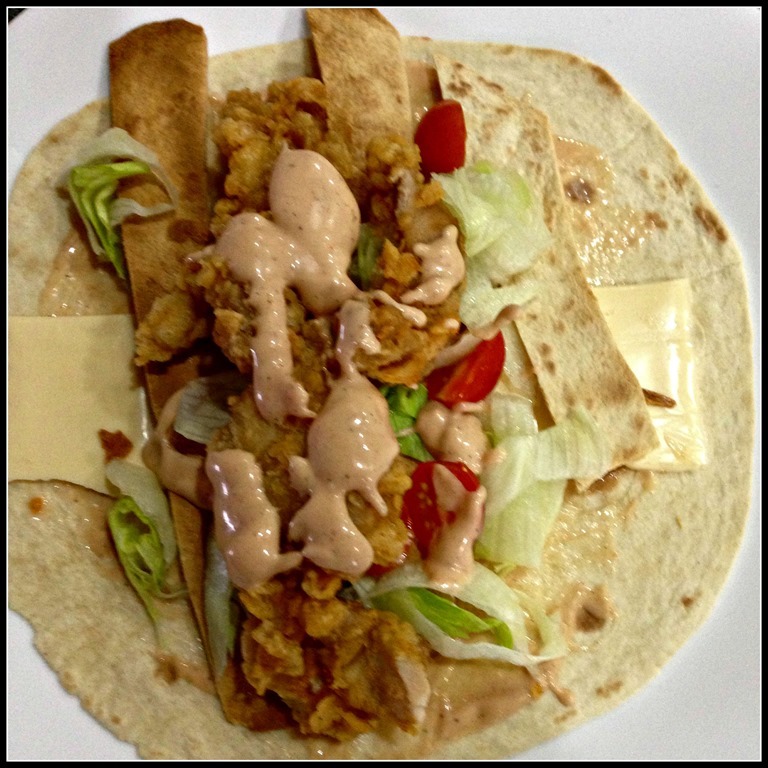 For more recipes, you can refer to my RECIPE INDEX (in the process of revamping and please bear with me) here and you can follow me at PINTEREST or visit this blog’s FACEBOOK PAGE . For Four Seasons Blog Hop #26 (Nov 13) where I am the Co-host, please join us for the party where you can get a lot of the family related posts. Please click the above logo to enter your post. 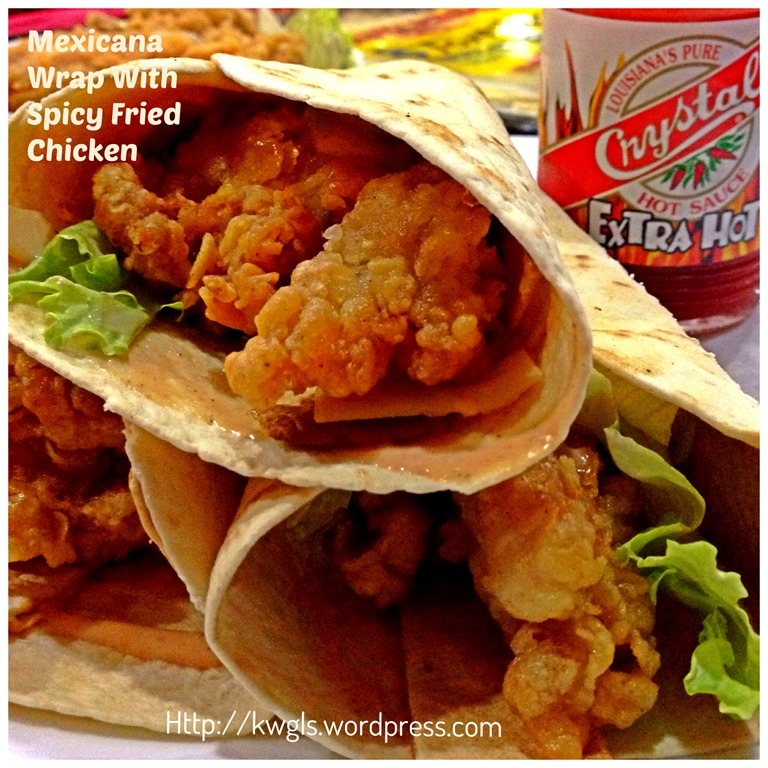 This entry was posted in Dish, Food Preparation Series, Western Dish and tagged 8, crispy fried chicken, GUAI SHU SHU, Guaishushu, hot and spicy fried chicken, mexicana wrap with fried chicken, postaday, texas fried chicken, texas fried chicken mexicana wrap replicate. Bookmark the permalink. 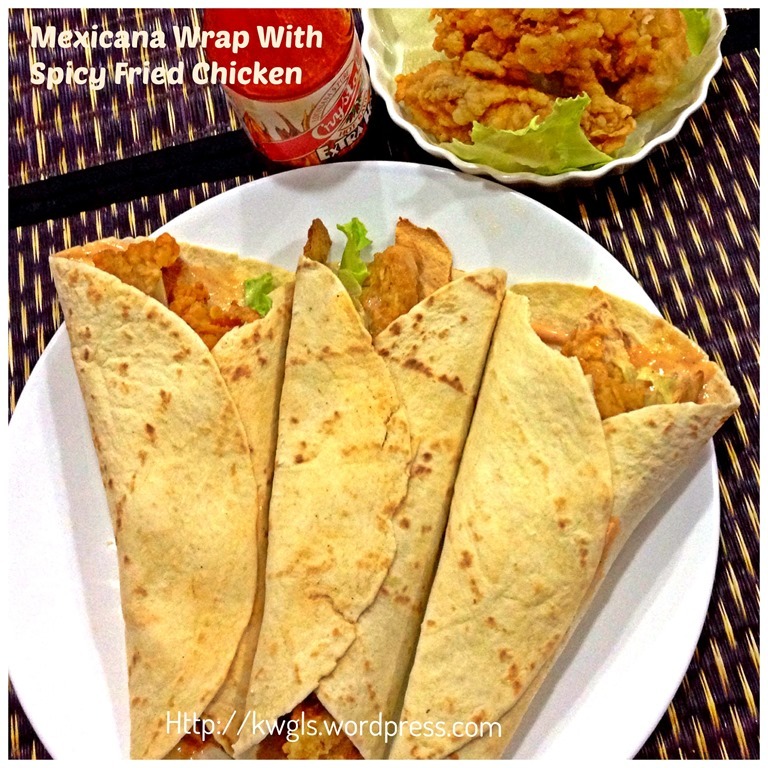 oh my god….you cant tell how happy i am to find your mexican wrap recipe…been searching around for the recipe for two days. finally! it sure looks yummy and definetely exactly like the one in texas chicken. got to try this! thank you! hope it meet your expectations.